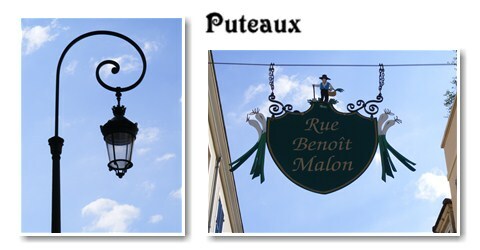 Thursday evening we were spoiled with real French cuisine. Hartman and his daughter took us out for dinner. 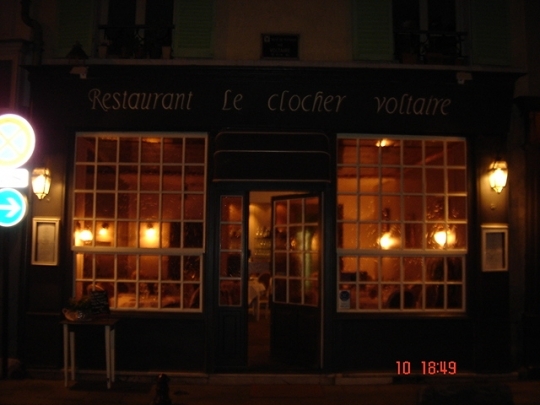 We went to Le Clocher Voltaire in Puteaux. Luckily we had a translator to explain the menu… But lovely food, starting with aperitifs and all the way through to desserts. Did I mention that we bought a car today? An Opel Zafira… We walked into AutoPro and only one man is in their office. He showed us the cars, we decided to buy and only when he started filling in the forms he told us that he is actually not the salesman. He only works on the internet. But what a blessing, because his english was very good and when the real salesman came back later, he could not speak a word of english. We will get the car next Friday. Today we took our Ford back to Charles de Gaul and rented a smaller Opel Corsa till next Friday. Unfortunately we forgot the Ford’s ‘luggage cover’ at the hotel and Danie had to just drive all the way back to the airport to take that back to SIXT. But the driving on the wrong side is now going so well. You just switch on the GPS and do everything the afrikaans lady tells you. But… from tomorrow I must tackle the driving.